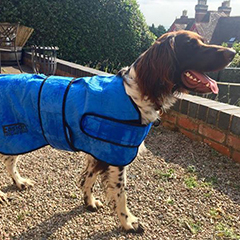 We are Easidri, the makers of the Grooming Towel, High Performance Cooling Coat, Cooling Mat and a range of bottled products designed to make your life a whole lot easier! 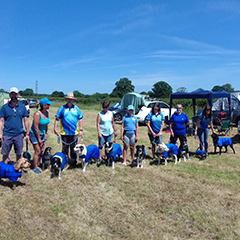 As dog owners ourselves, we understand the issues that you face each day - whether that's drying a wet dog after a walk, trying to keep them cool on hot summer days, or keeping them, your house and their possessions clean and hygienic! All our products are designed to help keep your dog happy and healthy and make your life easier. It's as simple as that! the makers of the Grooming Towel, High Performance Cooling Coat, Cooling Mat and a range of bottled products designed to make your life a whole lot easier! 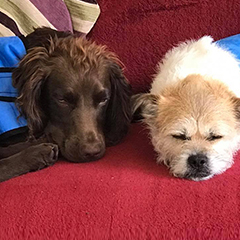 As dog owners ourselves, we understand the issues that you face each day - whether that's drying a wet dog after a walk, trying to keep them cool on hot summer days, or keeping them, your house and their possessions clean and hygienic! All our products are designed to help keep your dog happy and healthy and make your life easier. It's as simple as that! Our cleaning range consists of the Bed & Kennel Cleaner for removing nasty smells and bacteria from your dog’s sleeping area and Coat & Towel Wash to keep your dog’s coats and towels smelling fresh. Dry your dog with our Grooming Towel, super absorbent and re-usable it reduces grooming time by 60% and wash your dog with our fresh lemon scented medicated shampoo to remove odors and improve the coat’s condition. 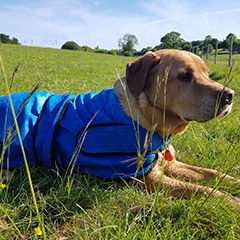 Keep your dog cool in hot weather with the High Performance Cooling Coat. With its unique cell structure it slowly releases moisture without wetting your dog’s coat. The Cooling Mat is waterproof and helps your dog stay cool and comfortable. 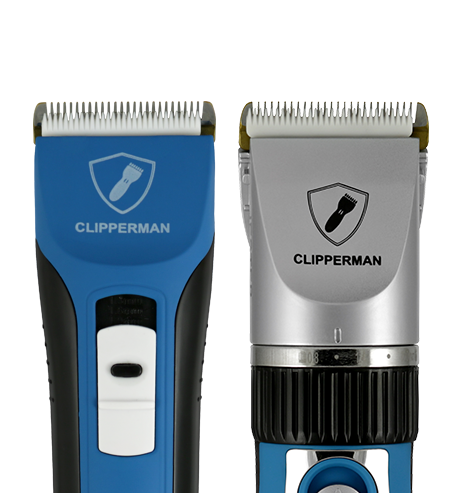 Our sister company, Clipperman, produces a range of quality clippers and trimmers to exceed your clipping needs. Our particular favourites for dogs include Jewel and Jester.